Posted by Becky Engen on 10:30 AM on May 22, 2015 . In addition to his work with the local Habitat affiliate, Bob has also been a longtime supporter of the Twin Cities ReStore. Bob has donated items and shopped the store's inventory when tackling home projects. More recently, Bob was recruited by a fellow parishioner at his church, Bob Kessler, to become more involved with the ReStore, by being trained as a regular store cashier. Before beginning his training, Bob opted to help out at the ReStore by stocking shelves, in order to learn a little bit more about the store. After he became familiar with the operations and staff, he was trained on the registers. 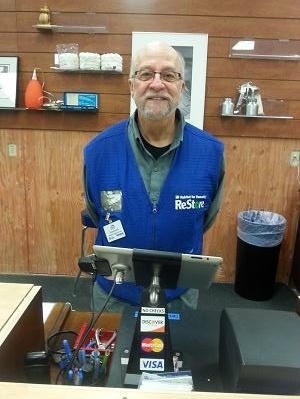 "Cashiering with us takes a special kind of person, like Bob, willing to give us a long term commitment," said ReStore Volunteer Coordinator Alicia Weagel. "It's absolutely our biggest need, and Bob is helping us fill it. Our volunteer cashiers are a huge help to us, and it's a great way to meet new people and help the ReStore raise money for Habitat!" 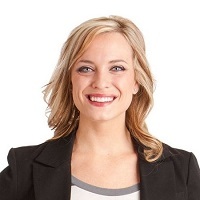 "
According to Alicia, "this position is more than just running a register!". The role also includes greeting customers, answering the phone and customer questions, assisting shoppers in making purchases, and helping ReStore employees in maintaining a clean and attractive store. "As a cashier, I see many neat things go out the door," Bob said. "There are times I jokingly 'chew out' the customer for grabbing something that I coveted!" "You will meet interesting people and you'll feel good about the time you spend there!" "We rely on volunteers to help us run the store, so if you aren't sure what you are specifically interested in, sign up for a day and time, and you can see what it's like to volunteer at the ReStore!"